Mark your calendars for the Growing Gardens Spring Dig In. 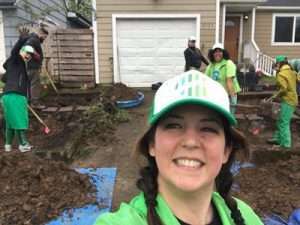 The Spring Dig-in is a celebration of Earth Day: a day to dig in the dirt and appreciate the abundance that our earth provides when one cultivates a garden. Through this challenge, Growing Gardens brings together communities to work together so that everyone has access to food that is nutritious, affordable, culturally-appropriate, and grown using practices that care for the health of the earth and the people that grow it. As we have more information we will share it with you. We will need 8 volunteers from PPRC. Any questions please reach out to Perry Swanson.